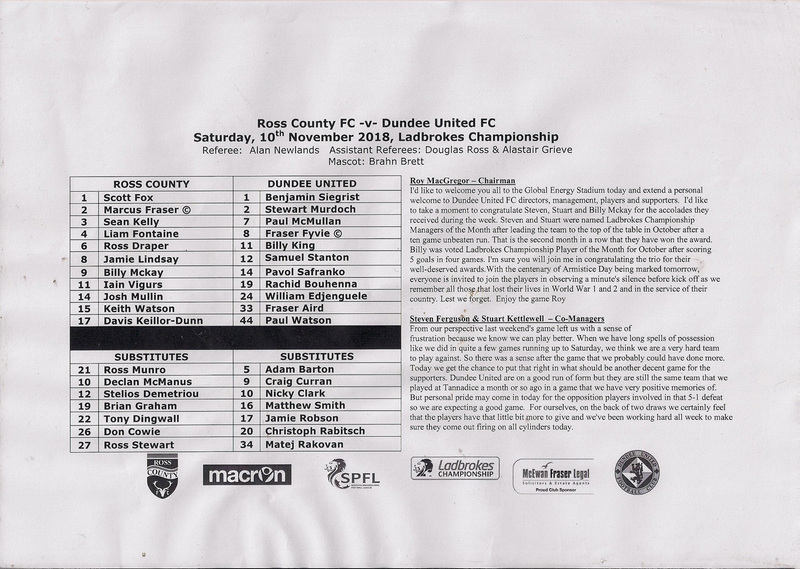 United made it five games unbeaten under Robbie Neilson, as well as making a major statement in the Championship title race, with a hard fought 1-0 victory over promotion rivals Ross County at the Global Energy Stadium. United made a single change from the previous game against Queen of the South. Callum Booth had not recovered from the hamstring injury he sustained in the late stages of that game, and was replaced by Paul Watson. Watson started the game at right back with former Ross County player Stewart Murdoch moving across to left back. 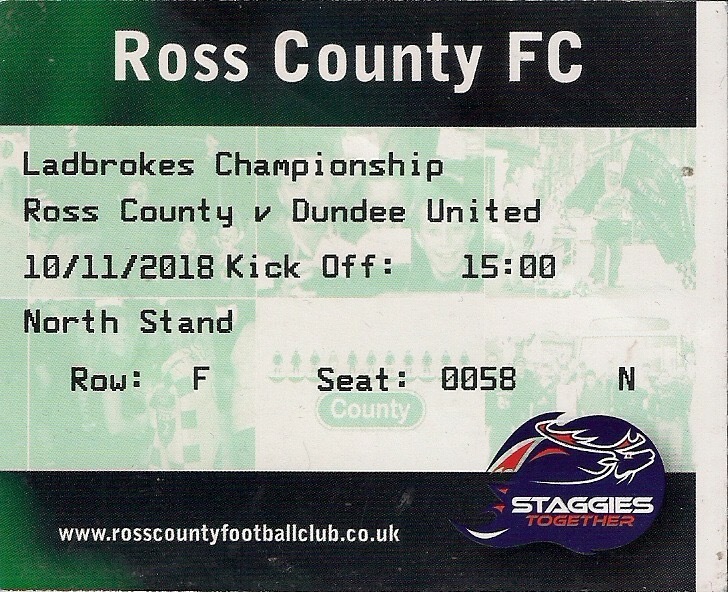 It had only been a matter of weeks since Ross County had beaten United 5-1 at Tannadice, a result which led to the sacking of Csaba Laszlo and the appointment of Robbie Neilson. The home side made a fast start to the game by finding the net in the first minute, although former United striker Billy Mckay was a long way offside when he turned the ball into the net. With five minutes on the clock, Mckay had another chance as his downward header from a Marcus Fraser cross was tipped over the bar by United goalkeeper Ben Siegrist. The pressure from the home side continued with them forcing a series of corner kicks which United were able to defend. In the ninth minute Josh Mullin had a low cross blocked by Rachid Bouhenna as they looked to capitalise on their good start with an early goal. United were able to break from that opportunity through Billy King and Fraser Aird, and although the break did not amount to very much it did provide the United defenders with some badly needed relief. It did not help their cause that they lost possession cheaply after Pavol Safranko forced a throw in a good position. Despite being second best in the opening stages of the game, in the fifteenth minute United took the lead. United forced a corner kick which was cleared by Iain Vigurs to Sam Stanton wide on the United right. After the midfielder was fouled, Fraser Aird launched the free kick into the Ross County penalty area. William Edjenguele was able to knock the ball down on the penalty spot to Paul Watson, who controlled the ball and smashed it past Scott Fox in the Ross County goal for his fourth goal of the season. 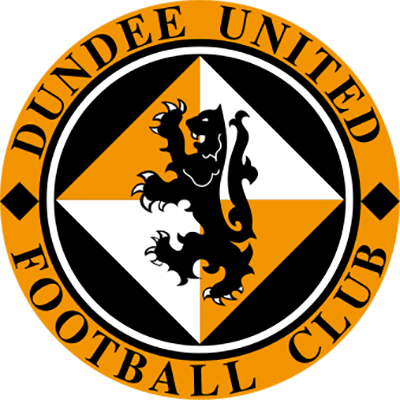 The goal seemed to wake United up, although their next attack five minutes after the goal was to end in a disappointing fashion as Paul McMullan threw himself to the ground in the Ross County penalty area while being challenged by Liam Fontaine. Not for the first time in his United career, McMullan found himself deservedly booked for diving. The home side had largely dominated possession, although without threatening Ben Siegrist’s goal too often. That almost changed on the half hour mark when United were arguably lucky to avoid a strong penalty claim after William Edjenguele rather forcibly shouldered Davis Keillor-Dunn off the ball as they chased a long ball from defence. However, the vigorous penalty claims from the home side were waved away by the referee. Within a minute, United almost doubled their lead. A shot from Fraser Aird from the edge of the box was deflected just wide of the post by former United defender Keith Watson. With ten minutes left in the half, Ross County had a further chance through a free kick from out wide, but it was missed by the players from both sides and went all the way through to Ben Siegrist. Josh Mullin was then booked for a bad challenge on Stewart Murdoch, before a Paul McMullan break caused trouble for the home defence as he fed the ball through to Pavol Safranko. However, the striker’s control was rather lacking on this occasion, and the chance was gone. Sean Kelly then became the second Ross County player to be booked after a foul on McMullan, but the subsequent free kick from Fraser Aird was just too high for William Edjenguele and the ball drifted out of play. Ben Siegrist then had to look sharp to punch away a dangerous looking cross from Liam Lindsay as Ross County chased an equaliser before half time. A Josh Mullin corner was then headed clear by Paul Watson, and although Sam Stanton saw an ambitious volley go well wide as the half drew to an end, it was the home side who finished the half the stronger. 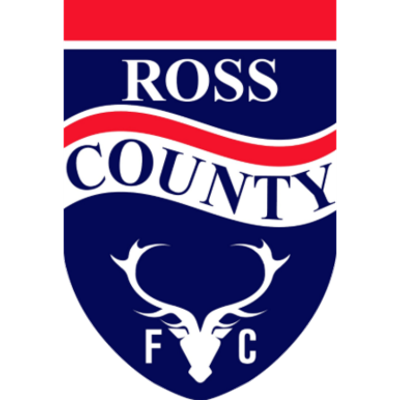 Ross County started the second half as well as they had finished the first, with Josh Mullin again providing a threatening cross from out wide, although again it was nothing the United defence could not deal with. United were able to force a corner at the other end soon afterwards, although Fraser Aird’s kick was headed clear by Keith Watson. With ten minutes gone in the half, Liam Lindsay curled a shot just wide of the post from the edge of the United penalty area. A minute later, United won a free kick around 35 yards from goal. It seemed ambitious in the extreme from Rachid Bouhenna to take on a shot from that range, and sure enough the ball went over the bar, if not by all that much. United captain Fraser Fyvie became the latest player to be booked after an hour of play for stealing the ball at a Ross County free kick. However, it was the last action he was to see as he went down injured soon afterwards. After a spell of treatment, he was taken off and replaced by Christophe Rabitsch. Mercifully, it did not look like too serious an injury. 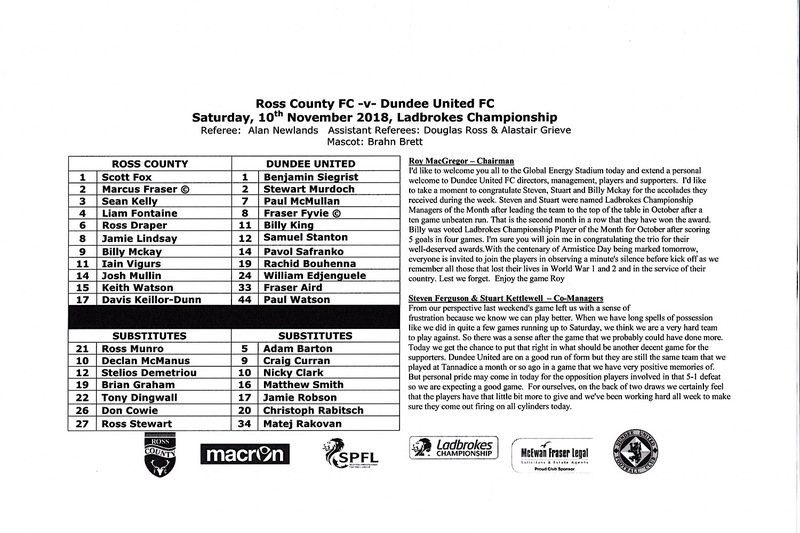 Ross County suffered an injury blow of their own soon afterwards as Liam Fontaine was forced off, and his replacement by Brian Graham saw yet another former United player enter proceedings. In between times, a fierce shot from Ross Draper was blocked by Rachid Bouhenna. The changes saw the game lose flow, which of course suited the away side as they were content to sit in and absorb whatever Ross County threw at them. There were frequent stoppages for injuries as United tried to see the game out, to the evident frustration of the Ross County players and management. With twenty minutes left, Ross County substitute Declan McManus broke into the United box but just as he looked to be in a position to play in Iain Vigurs his final ball was poor and United were able to clear. The lack of flow to the game saw very few chances being created in the closing stages, although the home side continued to try and force an equaliser. With fifteen minutes left, Iain Vigurs hit a shot just over the bar from outside the area. The pressure continued with a Brian Graham header from a Marcus Fraser cross which looped over the bar without troubling Ben Siegrist. Ross County were committing players forward in search of an equaliser as United continued to sit in, and with five minutes left an Iain Vigurs cross was blocked by the United defence and fortunately did not break to one of the many home players in the United penalty area. Then, with two minutes left Ben Siegrist was forced into action by saving a Declan McManus header. The ball broke to Brian Graham, but he lost his footing as he tried to control the ball. United were able to hold on despite seven minutes of stoppage time for a vital win, ground out against the favourites for promotion. The win saw United draw to within one point of their opponents, although they remained five points behind league leaders Ayr United.